The Pastelin pro hackers group, Syrian Electronics Army have once again targeted US media site. After a long time hackers group had back with their high profiled hacking. This time SEA hackers have once again hacked the online media site, The Washington Post. Th3 Pr0, a member of Syrian Electronic Army hackers group have confirmed about the hack. 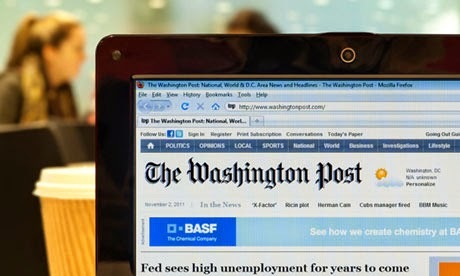 Motherboard reports hackers were able to insert the alerts by hacking into Instart Logic, a content delivery network (CDN) used by the Washington Post. “We hacked InStart CDN service, and we were working on hacking the main site of Washington Post, but they took down the control panel,” Th3 Pr0 told Motherboard in an email. “We just wanted to deliver a message on several media sites like Washington Post, US News and others, but we didn't have time :P.” - hacker told to Motherboard. Hacker, Th3 Pr0 also says that they had access to several other sites, such as NewsCorp, US News, and "other non-media companies" such as Newrelic, Business.com, Getty Images, and Quora. This is the second time the hackers get to the Washington Post. The group briefly disrupted the site in 2013 with a phishing attack. The Washington Post chief information officer - Shailesh Prakash, have have also confirmed about the hack. Currently the site has been recovered and working fine.